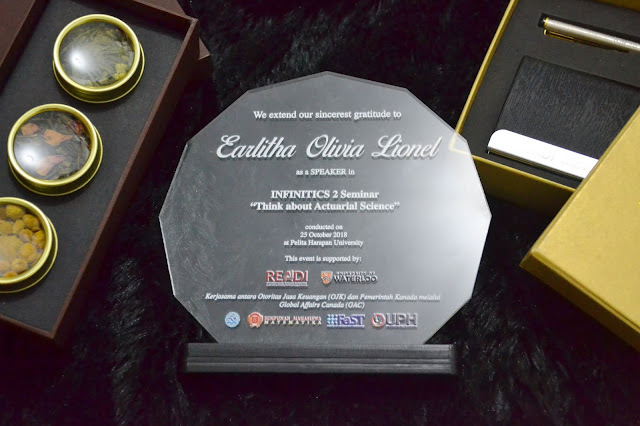 Infinitics 2 is an annual event held by Applied Mathematics UPH, consists of various mathematical competitions, seminars and workshops for high school students around different areas in Indonesia. This event aims to increase mathematics skills in order to solve mathematical problems efficiently, and to spread the knowledge about the applications of mathematics in the career world. There were 2 seminars in Infinitics 2, and one of them is specifically talking about actuarial science. 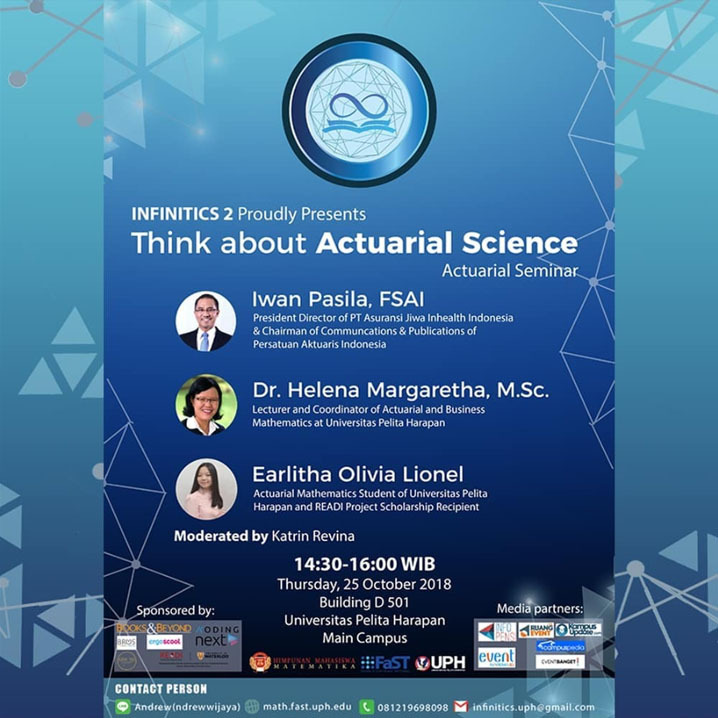 "Think about Actuarial Science", the name of the seminar. 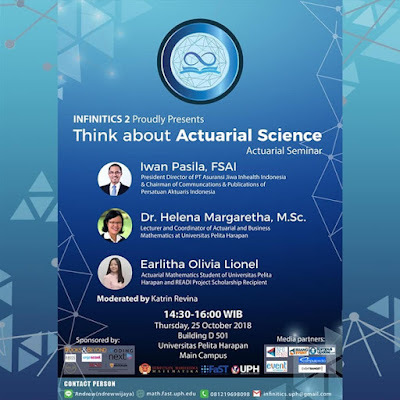 I was given a chance as a student who receives READI Project Scholarship to share my actuarial experience together with the seniors: Mr. Iwan Pasila, FSAI and Dr. Helena Margaretha, M.Sc. What an honor. This is one of the most precious opportunity for me personally, I could learn more and more about the field I am currently in with the experts. 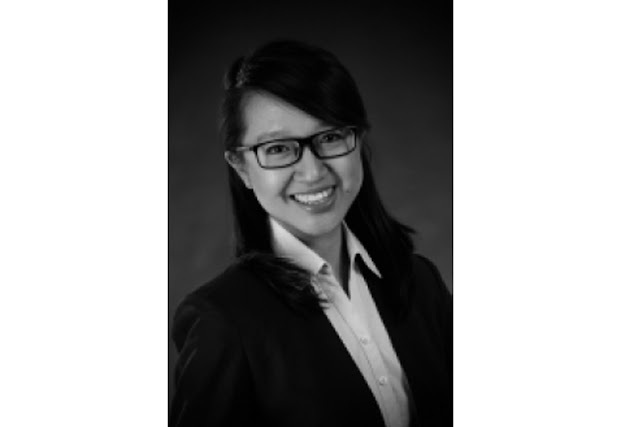 I could also meet Ms. Theresia Erni as the Communication and KM Expert from READI Project, that always support actuarial mathematics students through READI Project Scholarships and also events. From this actuarial seminar I could see the actuarial world from different perspectives. I learned from Pak Iwan Pasila, FSAI, who is a professional actuary, about the application of the actuarial studies during our university years. He also share the difference of working as an actuary in the insurance industry and consultancy. Working in the insurance industry will gives us more in-depth skills of the actuarial skills, while working in the consultancy we will tend to communicate more with other people. This gave me wider insights about this actuarial field. 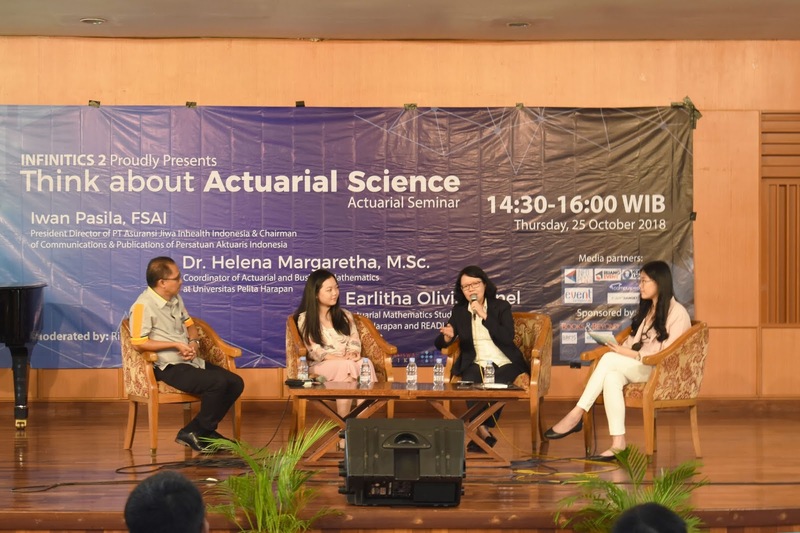 Dr. Helena Margaretha, M.Sc., an actuarial mathematics lecturer, explained how educators design the actuarial program for young potential actuaries while in their university years, especially in UPH. Whereas from me personally, I tried to share my experiences in taking professional exams (PAI and SOA) in my university years, and also the importance of support from READI Project Scholarship for me. Therefore I would also like to express my gratitude to READI Project who have support me and also other students, in lifting our spirits, confidence also financially throughout the year. I am so grateful to be part of this event, because I still need to learn more from the seniors: Pak Iwan Pasila, FSAI, and Dr. Helena Margaretha, M.Sc. I will always treasure all of the knowledge and experience shared in this event. Thank you Pak Iwan. Thank you Bu Helena. Thank you Infinitics 2! Saya dengar PAI menggandeng 8 PTN dalam penyetaraan saat ujian profesi Ajun Aktuaris, nah bagaimana dengan kakak yang berkuliah di UPH, apakah sama? 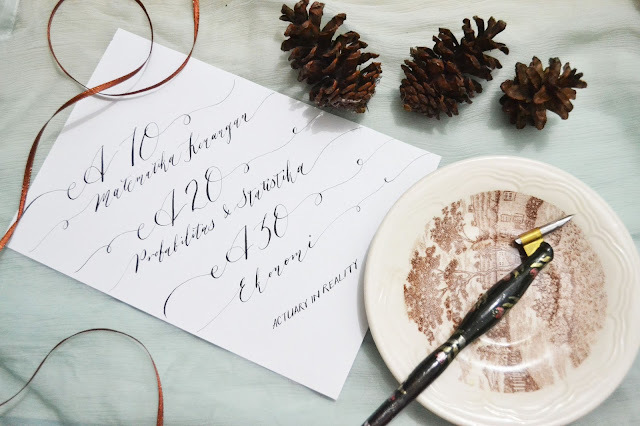 Hi, thank you for reading my blog. UPH belum ada penyetaraan ajun aktuaris, tapi UPH mempunyai penyetaraan dengan SOA yang hanya ada di UPH. Klo boleh tau kenapa ga ambil negeri kak? Yg sudah ada penyetaraan? Waktu 3 tahun lalu saat saya baru mau masuk kuliah, tidak banyak univ yang mempunyai jurusan ini. Salah satu univnya UPH, dan UPH cukup konsen dalam bidang ini. Menurut saya penyetaraan UPH ke SOA juga adalah salah satu kelebihan. Thank you, saya juga masih belajar... Km juga ya semoga bisa mendapatkan bidang dan uni yang tepat, tetap semangat!